Perfect for branding your creation or business. 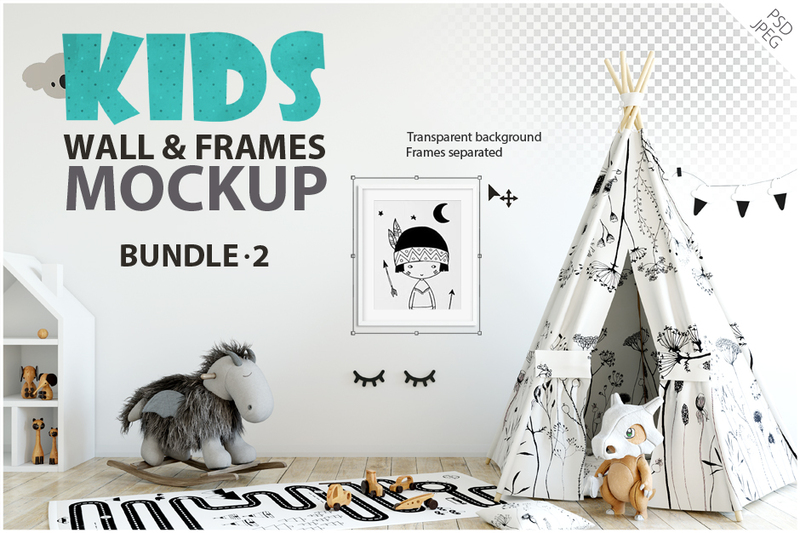 This wall and frames mockup set is great for shop owners, artists and bloggers, looking to advertise or show off their latest designs! Easy to use, this wall mockup allows you to add or overlay your artwork, photos, prints, wallpapers and patterns onto the walls. Contains 10 mockup scenes in .PSD and .JPG format, 9 mockup frames in .PSD format and quick reference guide. Software compatibility:Adobe Photoshop CS3 or newer. File size is approx 1.9GB (2.43GB unzipped), offered as a two part download.